One of the core concepts of calculus is known as the “derivative”, which is a ratio between two types of changes. For instance, your car’s speedometer gives the you speed in “miles per hour.” This is a derivative—a ratio of the change in distance and the change in time. You can also have a “second derivative,” or a derivative of a derivative. For instance, acceleration is the ratio between the change in speed and the change in time. However, the notation for the second derivative has always been strange and usually baffles students. In most mathematics textbooks, the notation is presented without explanation for the reasons for why it looks the way it looks. In an effort to provide more background for his students, Jonathan Bartlett decided to pursue the matter further, and figure out why the notation is the way that it is. During his investigation, he discovered that this strange notation for second derivatives itself is problematic—if you take the notation literally, it can, in certain circumstances, lead to wrong answers. This has not been a problem for professional mathematicians because they have devised workaround formulas, and know that they have to manipulate it using their specialized formulas, not with the literal standard notation. It has generally been assumed by mathematicians that there is no good notation for the second derivative that works as it is literally presented. Bartlett continued to search deeper to find a way to establish the notation from first principles. After some initial mis-steps, he discovered a new notation for the second derivative which can be used literally and does not require special formulas to manipulate. Additionally, when using the new notation, Bartlett was able to infer a new formula for relating different derivatives. Bartlett is a lead developer for the Tulsa branch of the New York-based software development firm ITX, where he leads a team of programmers doing digital development projects for a variety of top-tier companies. 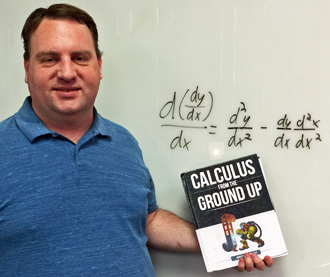 As a tutor for Classical Conversations, a popular homeschool co-op program; he also writes textbooks on math, science, engineering, and the philosophy of science. He is a fellow of The Blyth Institute as well as the Bradley Center for Natural and Artificial Intelligence. 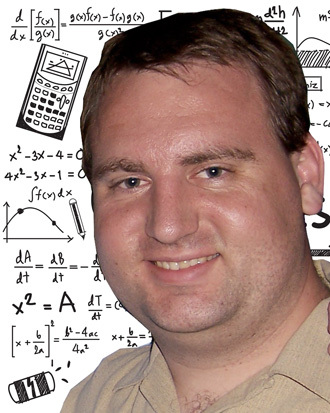 He is a writer for the Bradley Center’s Artificial Intelligence blog MindMatters.ai. 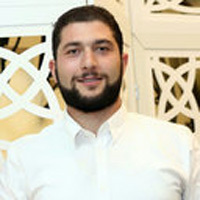 In order to validate his findings, Bartlett enlisted the help of Asatur Khurshudyan, a mathematician specializing in calculus-related problems. Khurshudyan validated his findings, and showed how the new formula can be used to solve several classes of calculus-related problems that were previously very difficult. Together they coordinated on a paper describing the new notation, titled “Extending the Algebraic Manipulability of Differentials,” which was recently published in the journal Dynamics of Continuous, Discrete and Impulsive Systems, Series A: Mathematical Analysis.